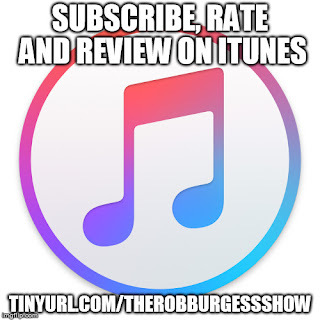 On this, our 57th episode our guest is Rachel Dolezal. Rachel Dolezal holds an MFA from Howard University. Her scholarly research focus is the intersection of race, gender and class in the contemporary Black diaspora, with a specific emphasis on Black women in visual culture. She is a licensed intercultural competence and diversity trainer, dedicated to racial and social justice activism. She has worked as an instructor at North Idaho College and Eastern Washington University, where she also served as adviser for the schools’ Black Student Unions, and has guest lectured at Spokane Community College, the University of Idaho, Gonzaga University and Washington State University. 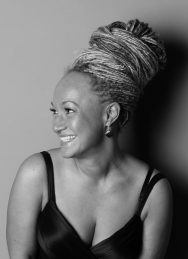 Dolezal began her activism in Mississippi, where she advocated for equal rights and partnered with community developers, tutoring grade-school children in Black history and art and pioneering African American history courses at a predominantly white university. She is the former director of education at the Human Rights Education Institute in Idaho and has served as a consultant for human rights education and inclusivity in regional public schools. She recently led the Office of Police Ombudsman Commission to promote police accountability and justice in law enforcement in Spokane, Washington, and was the president of the Spokane chapter of the NAACP. She is the devoted mother of three sons. Dolezal garnered international attention after a June 11, 2015 interview she conducted with Jeff Humphrey of KXLY-TV. The interview begins with Humphrey asking Dolezal about hate crimes she had reported to the police. It ends abruptly after he asks her about a photo on the Spokane chapter of the NAACP's Facebook page which shows an African American man, Albert Wilkerson, who she claimed was her father. It was later confirmed by Dolezal's birth parents, Larry and Ruthanne Dolezal, that she was born white. Dolezal subsequently resigned her position at the NAACP on June 15, 2015. The same day, she also lost her position as an instructor at Eastern Washington University and her position as a freelance writer for The Inlander. And, on June 18, 2015, the Spokane City Council voted unanimously to remove her from the Office of Police Ombudsman Commission. On March 28, Dolezal released the book she wrote along with Storms Reback, “In Full Color: Finding My Place in a Black and White World,” through BenBella Books. Wilkerson wrote the Foreword to the book.